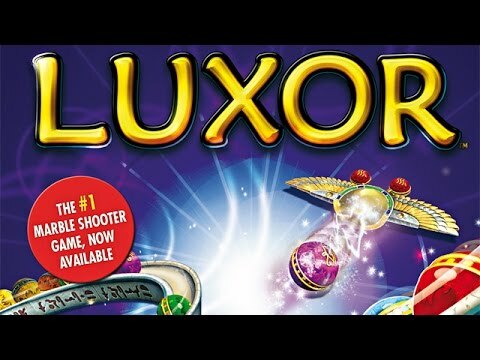 "Luxor is a fast-paced, exciting game. It keeps me alert but is also relaxing. Takes my mind off the day, and I enjoy the different stages as well." Battle Set and his evil minions across 88 mind-blowing levels, unleashing the awesome powers of Isis with various falling power-up talismans, such as explosive Fireballs and thundering Lightning Bolts. Filled with excitement, adventure, and tons of explosive action, there is only one question you must ask yourself: can you thwart the diabolical plans of a god and save Egypt? I purchased this game and mastered it. It is totally addictive and I played for many hours. Absolutely enjoyable. I absolutely love this game! I have played this for years and every time I get a new laptop or computer, I make sure this is the first game I get. It's very colorful and has lots of fast action! I really liked this game. I think marble poppers are just the best. I only wish there were more of them. It is riveting, addictive, spellbinding fun! It is a fun game. It is very relaxing and good for stress relief. It is also very addicting! Free all the gods from captivity before they reach the pyramid at the end of their path.